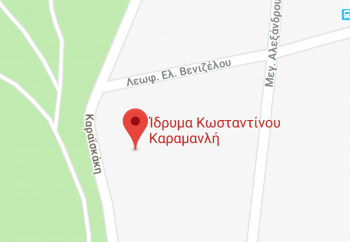 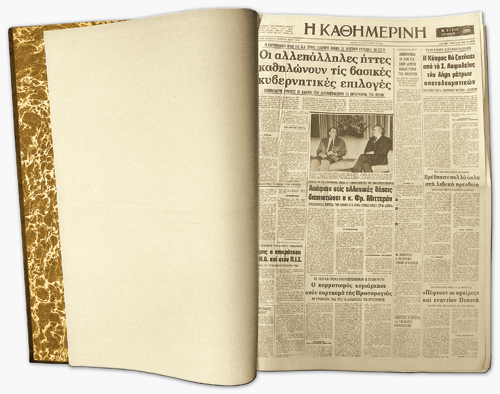 The Library, which constitutes an independent department of the “Konstantinos G.Karamanlis” Foundation, was set up at the time of its establishment in 1983 under the direct super-vision of K. Karamanlis. 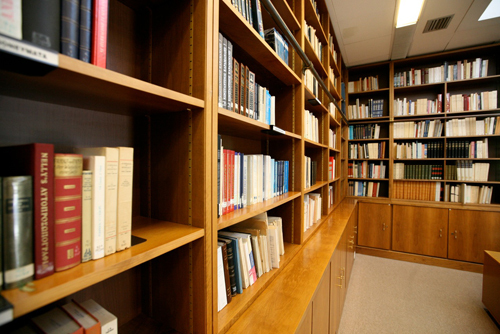 Its content covers the need for very accurate documentation of the events referred to in the main archives, as well as for impartial updating of the researchers through printed sources only. 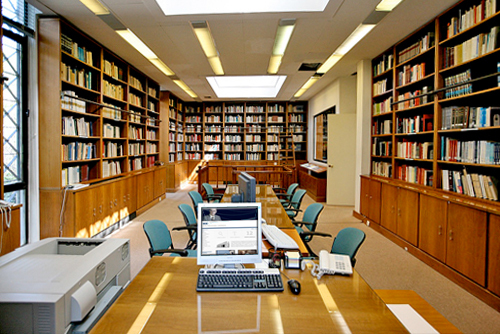 The Library contains more than 30,000 volumes of books and magazines acquired through purchases and donations of the Foundation’s friends; they constitute its Main Collection, as well as four important subsidiary collections by Konstantinos Karamanlis, Georgios Daskalakis, Chariton Korizis and Dionysios Flambouras.